Sir Richard Branson doesn’t mince words about the importance of training in startup businesses. If your organization has decided to engage in employee training, e-learning has to have a role. If you’re considering eLearning training for your staff, where do you place your focus? Are your employees open to participating in this learning culture? What happens if they are not? Can you still train people who don’t want to be trained? Employee training can be categorized into three areas: functional training for basic skills, management training for strategies for handling employees, and additional training for specialized areas. Virtually every business has learned how detrimental having untrained or inadequately trained staff can be to its daily operation and its employee development. 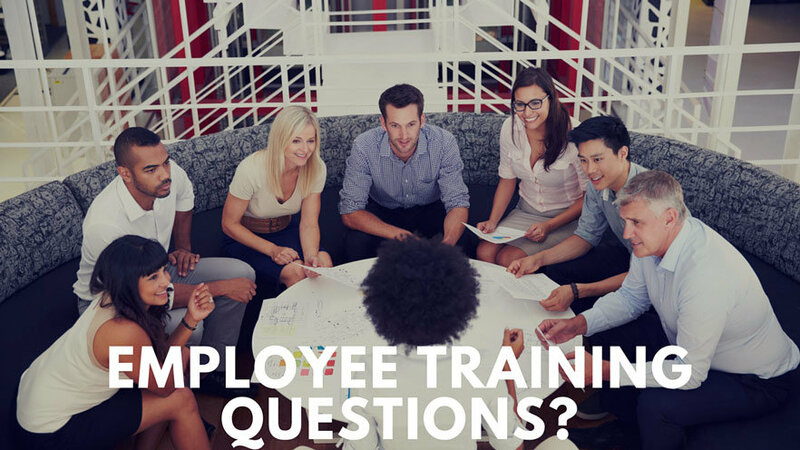 Employee training and development is not only preferable in creating an efficiently run company, it’s absolutely essential. Without effective employee training and development, one of the most important resources in any company, namely people, goes to waste as your workforce stagnate and fail to keep up with the ever changing demands of the fast moving contemporary marketplace. Employee training, employee development and profitability simply go hand-in-hand. This is where eLeaP comes in. eLeaP is a revolutionary online training package intended to greatly improve and streamline the employment training and development program carried out by your business. eLeaP is an intuitive training solution that incorporates a huge number of training packages designed to aid employee development in a wide variety of areas. Whether you’re a small business or large business or a nonprofit, health care agency or educational institution, we have the tools you need to roll out training in an easy, effective and affordable manner. eLeaP is the perfect employee training and development system because it grows and evolves with the needs of your workforce. Whether your company needs training and development for an experienced member of staff in a specific area of weakness, or you need to train up a new member of staff from scratch, eLeaP’s employee development training courses will meet your needs, as we work with you to deliver the employee training that precisely fits your business’ specific requirements. Signing up for eLeaP means that you have access to our full range of our existing courses and employee training and development material on a 24/7 basis. No more need to wait around for training providers to arrange a suitable date and time with you; eLeap delivers convenience, ease of use and access to training and development at your whim. No longer will your business have to worry about incurring expensive training and development costs associated with trainers and providers. eLeaP cuts out the middleman and delivers the training you need, as your employees need it. If you deal with a large turnover of employees, or a huge intake each year, eLeaP can potentially save you big money. eLeaP’s employee training does not limit itself to one area, or one type of organization. We already work with a diverse client base in industries such as healthcare, manufacturing, banking and finance, education, government, software, training, legal, international and many more. We also already work with various organizations with regard to federal and local training requirements and state and federal business regulations. eLeaP can meet the needs and desires of your business whatever they are, and deliver the content you require in an intuitive package that is enjoyable for staff to use. The bottom line with eLeaP is that we don’t dictate what we think will be of benefit to your business, we work with it to deliver the employee training and development content THAT YOU WANT AND NEED! So don’t delay, sign up for eLeaP today, and make the first step towards giving your workforce the tools they need to make your business a huge success story.